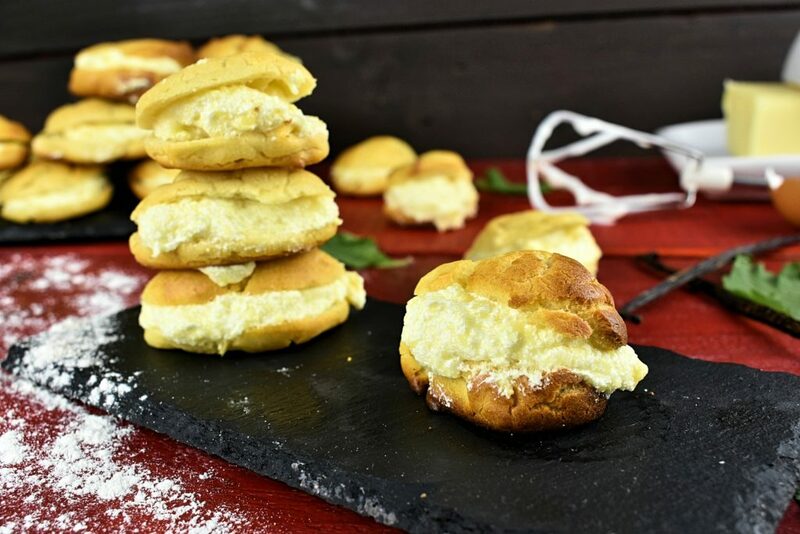 Profiteroles are so woven into our everyday freezer life that it’s even hard to imagine that it could be done at home. This is the backslide of the ready made food world. People forget how easy is to make those thing that they pay for. Probably that’s the point anyway but still. Nothing can compare to a great homemade dessert. Even if it’s our first try. And we all know how bad first try could be. 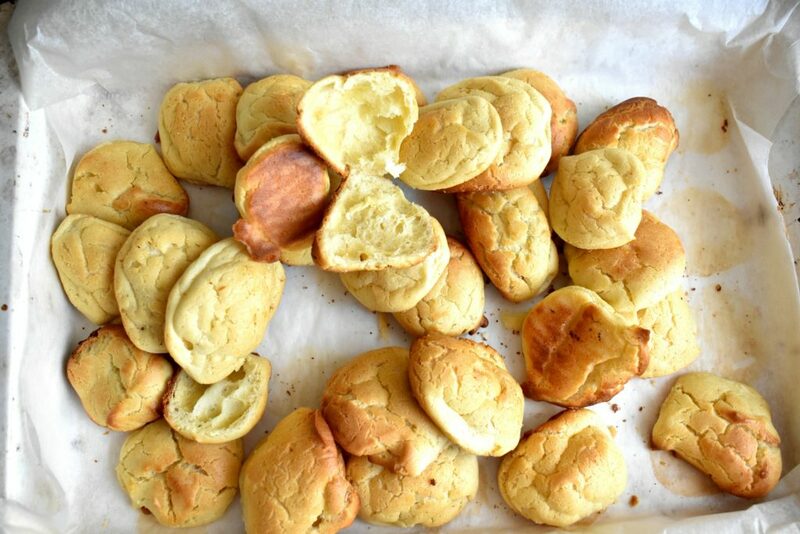 So this profiteroles is a sugar free recipe but still cool looking and tasty as it should be. 1. 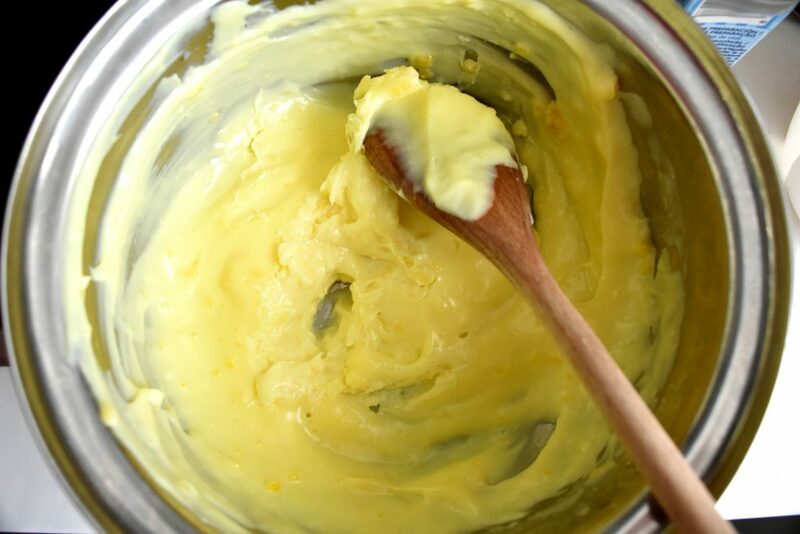 Place water and butter in a medium saucepan. Stir it with a wooden spoon and bring to boil. 2. Reduce heat and add the flour slowly stirring continuously until it forms a ball that pulls away from the sides of the saucepan. 3. Remove from heat and leave it cool down before start adding the eggs, one by one beating them. Keep beating until the egg is fully incorporated. Repeat the process with all 4 eggs. 4. Use 2 spoons to sort the dough into walnut sized piles onto a baking sheet on the tray. Place them far from each other as they are going to expand. 5. Preheat the oven into 390ºF / 200ºC degree and put the pastries in to bake them for 25 – 35 minutes (depends on the oven) until puffed up, dry, and golden brown. 1. Meanwhile the pastry is baking use the time to make the cream. Use vanilla pudding powder and follow instructions on its box. There are all sort of brands so everything depends on what we prefer. For a sugar free recipe use sugar free vanilla powder. Some we only have to beat with a certain amount of milk, others we need to cook to get the pudding. It needs to be stiff. 2. Turn heating off and put the pudding aside to cool down. 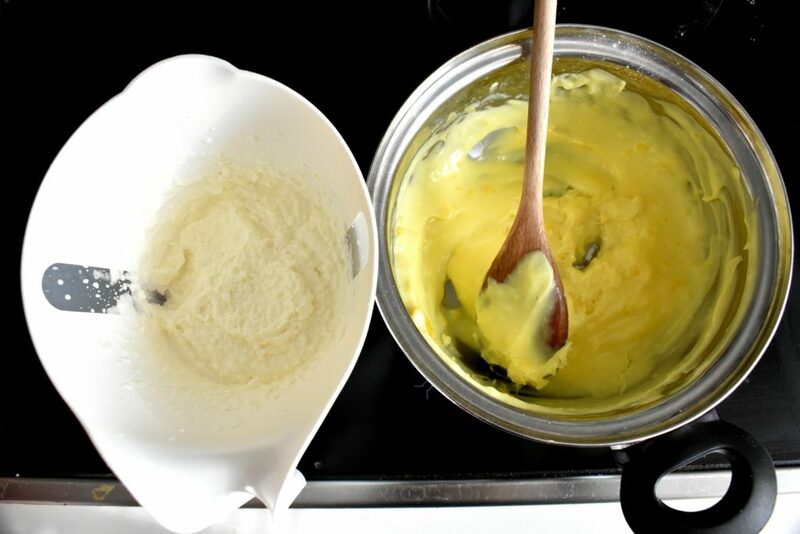 If cooking sounds difficult, use the instant version, whisk the vanilla cream and set it aside in the fridge. 3. 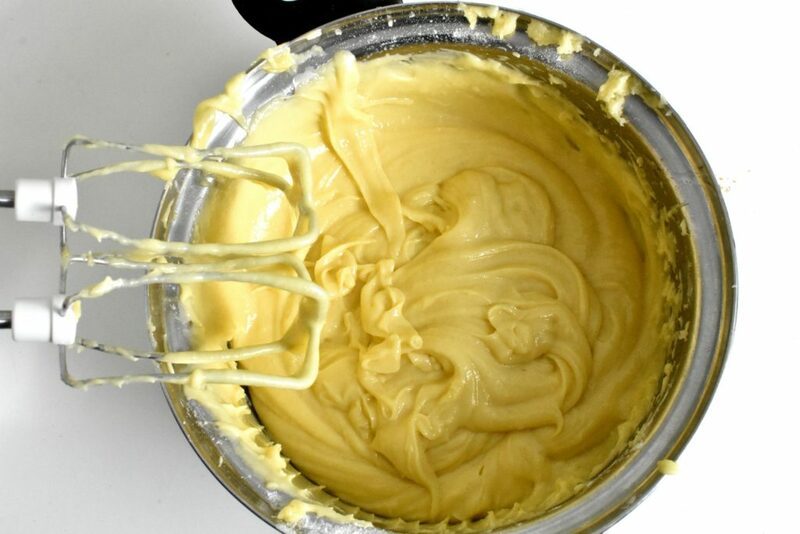 Whisk the whipping cream separately, cover and put it in the fridge, too. 4. It’s time to check on the pastries. When they have a golden brown color and they look crispy, turn the oven off and open its door slightly. Let the pastries cool down a bit in the oven before we take them out. 5. 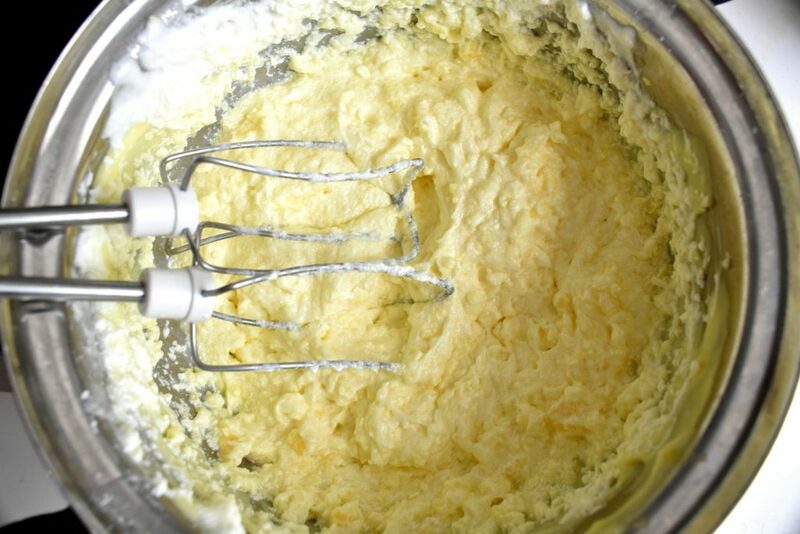 When both vanilla cream and whipping cream is cold mix them together. 6. Transfer the cooled pastries to a tray and slice the tops off. Scrape the inside bit if necessary. 7. 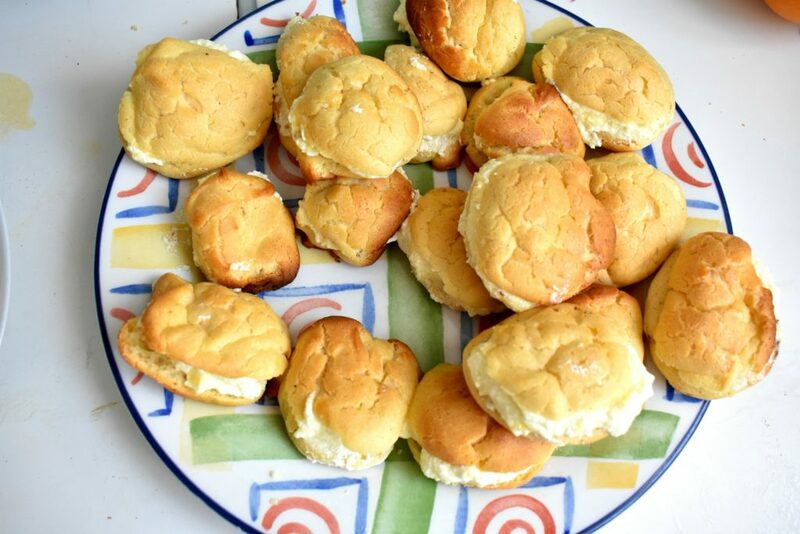 Spoon the vanilla and whipping cream combo into the bottom pastries and place the tops on. Now the gorgeous homemade profiteroles are ready to be served. 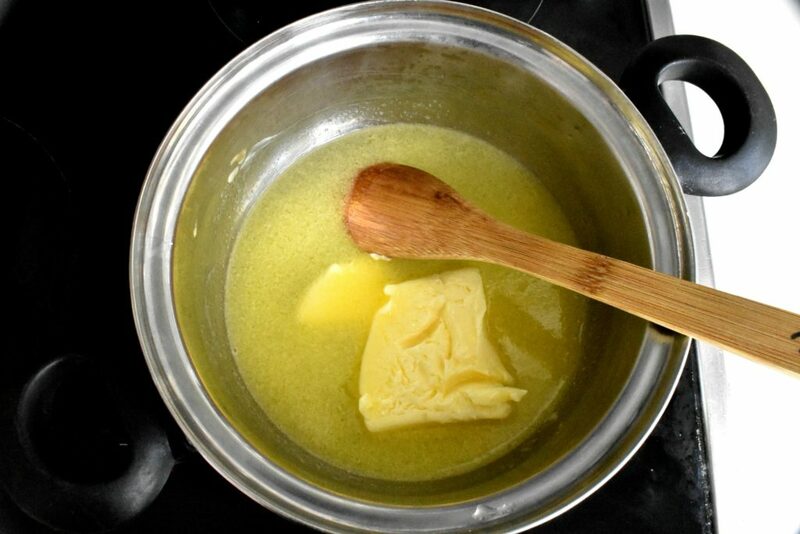 Place water and butter in a medium saucepan. Stir it with a wooden spoon and bring to boil. 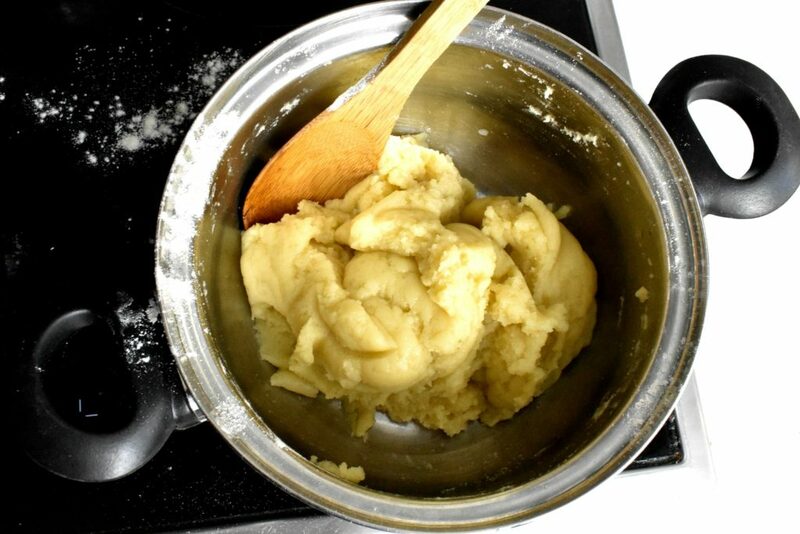 Reduce heat and add the flour slowly stirring continuously until it forms a ball that pulls away from the sides of the saucepan. Remove from heat and leave it cool down before start adding the eggs, one by one beating them. Keep beating until the egg is fully incorporated. Repeat the process with all 4 eggs. Use 2 spoons to sort the dough into walnut sized piles onto a baking sheet on the tray. Place them far from each other as they are going to expand. Preheat the oven into 392ºF / 200ºC and put the pastries in to bake them for 25- 35 minutes (depends on the oven) until puffed up, dry, and golden brown. Meanwhile the pastry is baking use the time to make the cream. Use vanilla pudding powder and follow instructions on its box. 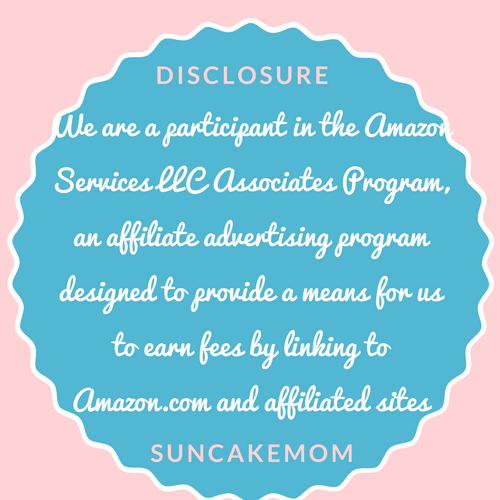 There are all sort of brands so everything depends on what we prefer. For a sugar free recipe use sugar free vanilla powder. Some we only have to beat with a certain amount of milk, others we need to cook to get the pudding. It needs to be stiff. Whisk the whipping cream separately, cover and put it in the fridge, too. It’s time to check on the pastries. When they have a golden brown color and they look crispy, turn the oven off and open its door slightly. Let the pastries cool down in the oven before we take them out. When both vanilla cream and whipping cream is cold mix them together. 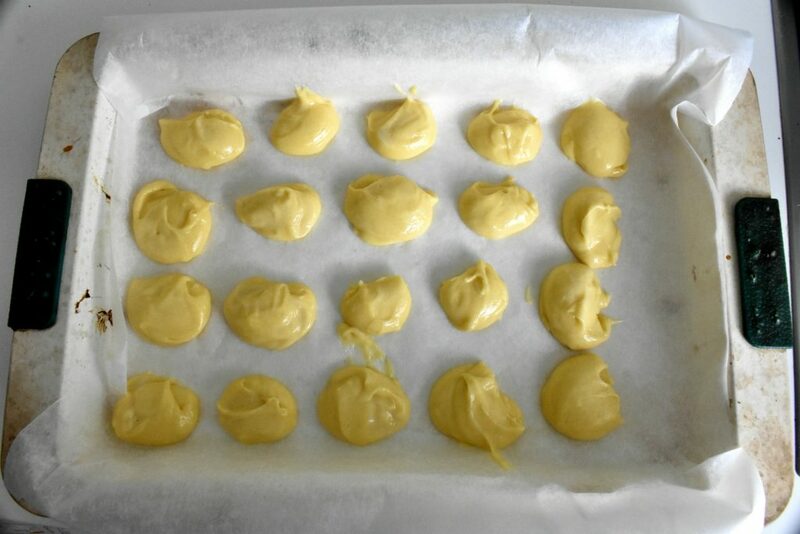 Transfer the cooled pastries to a tray and slice the tops off. Scrape the inside bit if necessary. 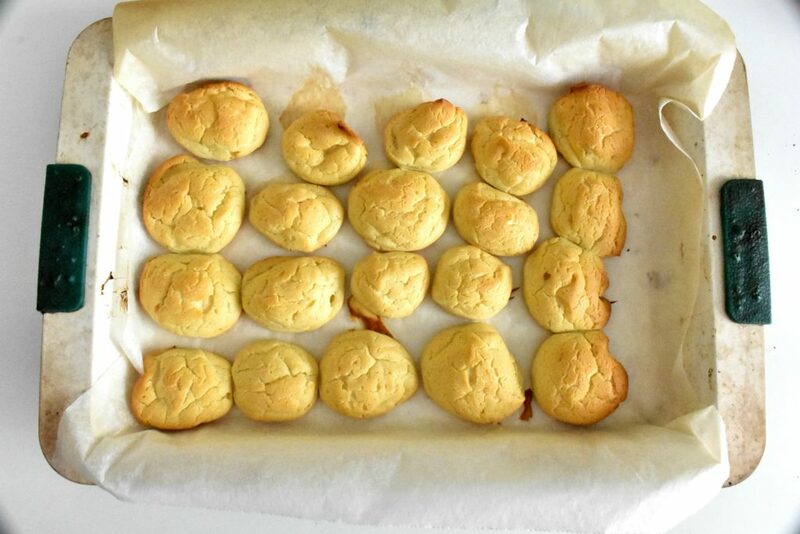 Spoon the vanilla and whipping cream combo into the bottom pastries and place the tops on. 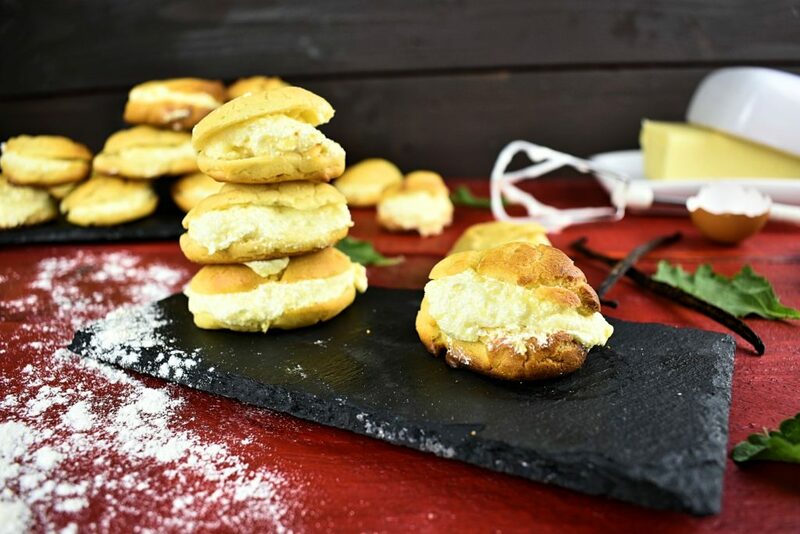 Tried and tested delicious profiteroles not only for the brave of heart. It’s more delicious than the shop bought ones that’s for sure! I’ve never thought this can be done at home! Intriguing!